Handling large-size veneer is a laborious process, especially in plywood layup. Large manually operated layup stations need no less than 4-5 workers per station. Plytec automatic layup lines, however, can be tailored to fit the customer's needs and reach high capacities with only one operator per station. Plytec’s automatic layup system uses a thoroughly tried and tested technology that can be adapted to meet a large range of requirements. These solutions, tailored to each customer’s particular needs, ensure maximal productivity and scalability of the system for future requirements. For instance, the system can be fitted with automatic control systems and more stack places as requirements change. The lines can also be adjusted to fit a range of different veneer sizes – from 5” x 5” to 4” x 8” and 5” x 12”. The glue can also be spread by either rolling or extrusion. Organizing equipment ergonomically to create the best possible work environment improves the physical well-being of your workforce, positively affects their motivation, and reduces job turnover. 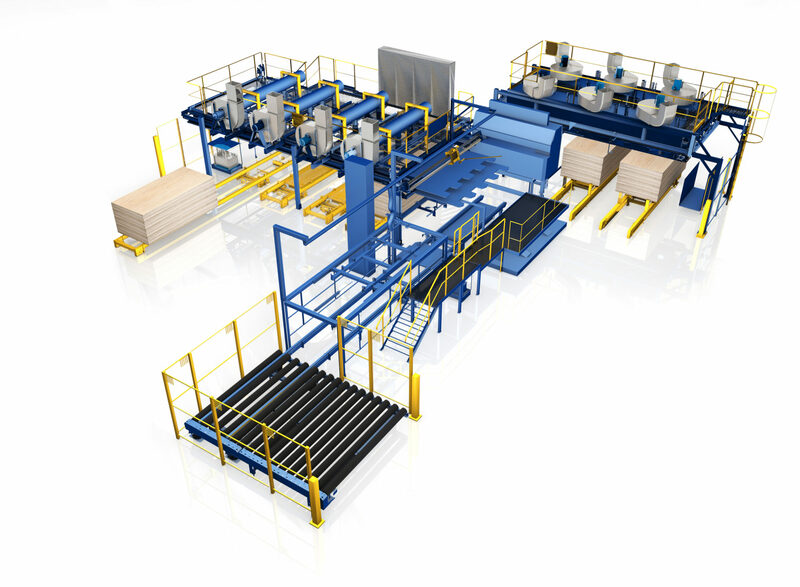 An automated large-size plywood layup system will also considerably assist in reducing costs, increasing efficiency and improving productivity. • simultaneous feeding of a new stack and tray removal, possibility to remove an unfinished stack. • Smooth operations lead to veneer savings and increased final product output. • easy layup recipe change and preset.